The time for summer fruit pies is long over. But don’t be sad, because with new seasons come new kinds of pie! 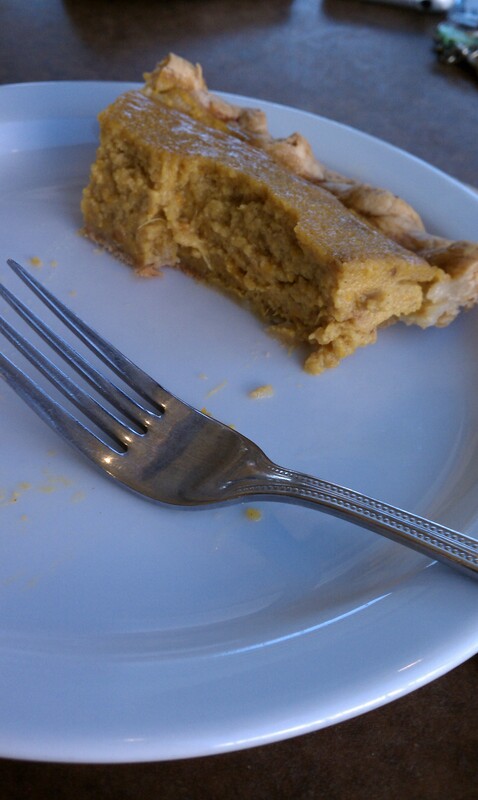 In fact, I had my very first slice of pumpkin pie just the other day. (please see evidence of the deliciousness below) So hey! Happy Fall!